June 1942. 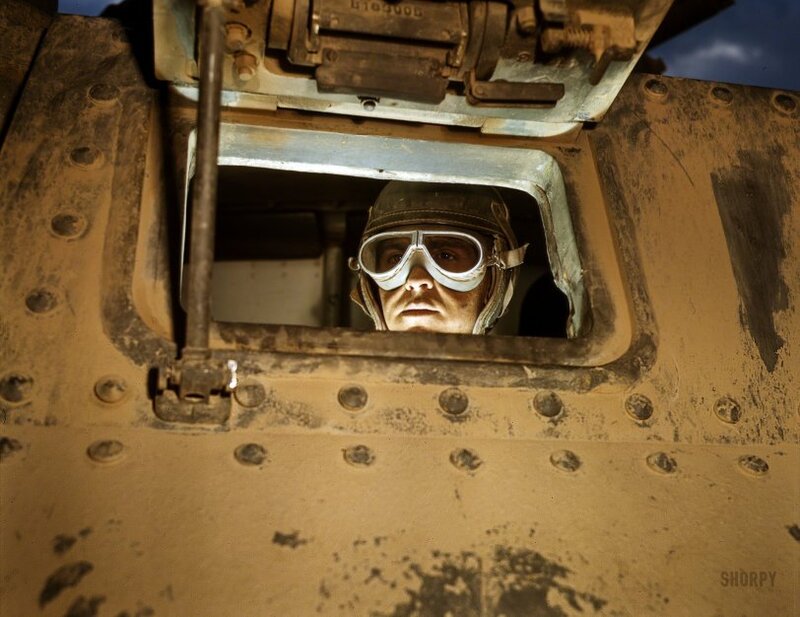 "Tank driver -- Fort Knox, Kentucky." Kodachrome transparency by Alfred Palmer for the Office of War Information. View full size. Submitted by Anonymous Tipster on Thu, 04/05/2007 - 11:12am. When the random thumbnail popped up, I saw a death's head looking out.